Smart Textiles Design Lab researchers, Mili Tharakan and Mika Satomi has been at DEAF festival (http://deaf.nl), leading a workshop that combines 3D printing and textiles. 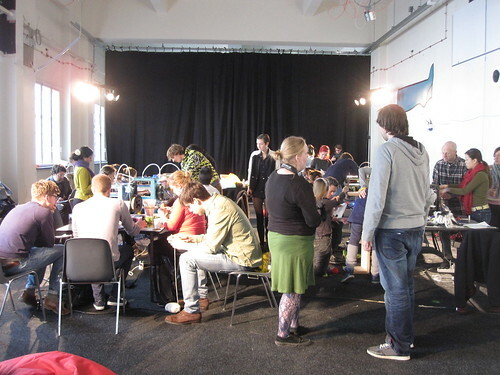 They collaborated with Joris van Tubergen and Florian Horsch from Ultimaker (Open Source 3D printer) team. 30 People participated in the workshop from various background, from architect to textile design, exploring the future possibility of crafting. Mika has also talked as one of the panelist at the CRAFTING THE FUTURE panel discussion, exchanging the idea of “craft” in E-textiles.